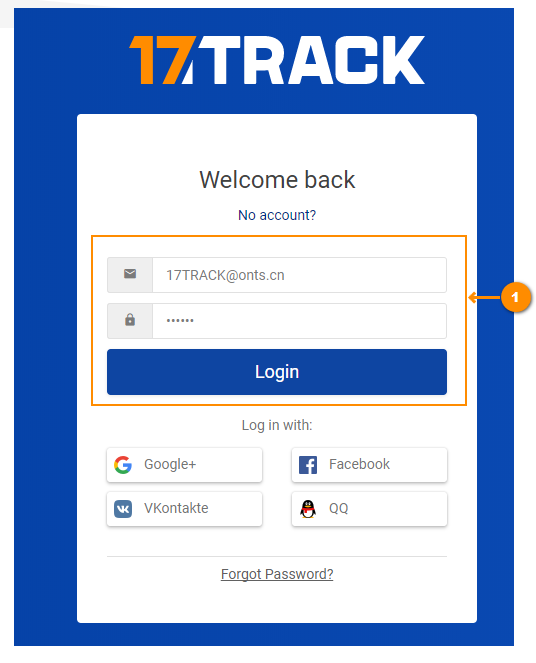 Login your 17TRACK account on multiple devices (PC Desktops/Mobile phones) for automatic synchronization. Get alerted when there're new updates for your packages. Of course, you can enable or disable these alerts. Our system will remember your preferred language settings which can be automatically synced on the whole 17TRACK service. When you encounter any using problems or you want to give us advice, you will get a faster response. 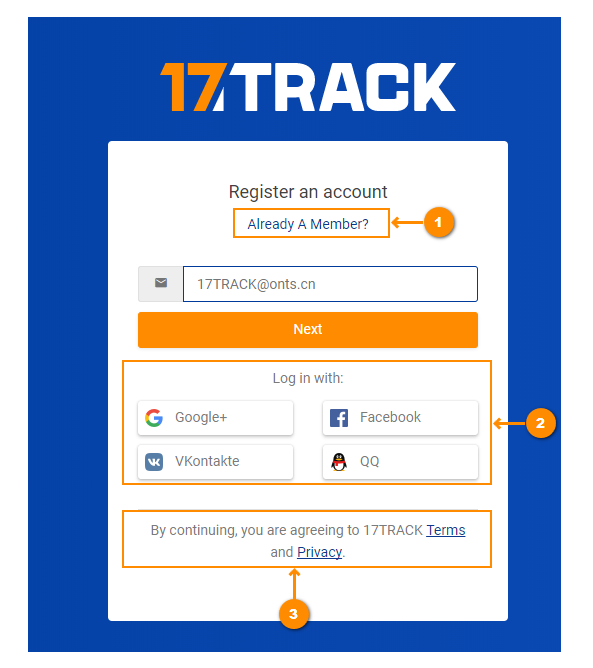 You can register an account by clicking the "Register" button in the upper right corner on our website page to be a 17TRACK member. 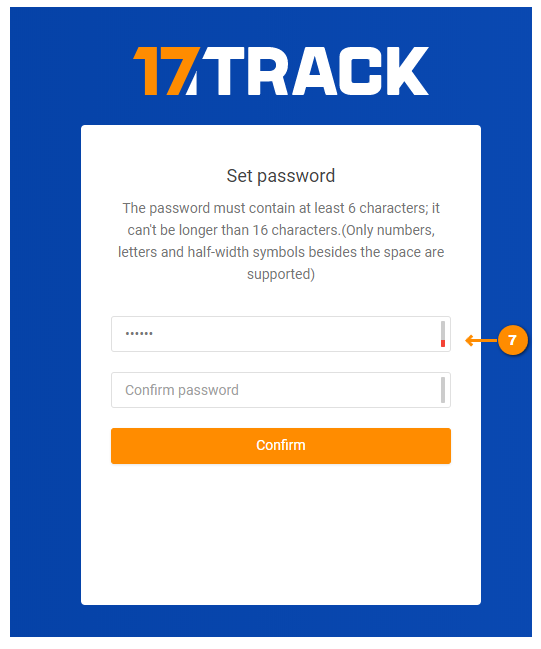 Follow these steps to complete your registration: input your frequently-used email address; click "Next" to receive a verification code to secure your account in case of password loss and such issues; if you've registered an account before, please click "Already A Member" back to the login page to log in. You can choose to register with your social account for quick login. By registering an account successfully, it means that you are agreeing to our Using Terms and Privacy. Check your email inbox to check the verification code and then input it in the input box. Then Click "Next". 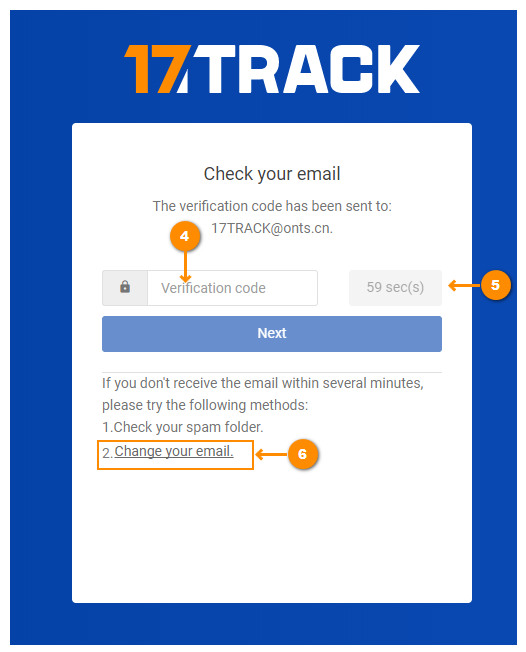 If you don't receive the verification code within one minute, please click "re-send" to receive it again. Still not receive a verification code? Please check if you have entered a correct email address. If you entered a wrong email address, please click "Change your email". Please set your password and confirm the password; then click "Confirm" and go to the next step. If you are an overseas online shopping customer, choose the role: Buyer. If you are an online retailer who owns online shops, choose the role: Seller. If you are a shipping service provider (logistics company), choose the role: Carrier. Buyer role account is allowed to log in by using mobile apps or desktop devices. Seller and Carrier role accounts are not allowed to log in using our mobile apps. It's a web-based service. These three member roles have their unique features. Your member role is unchangeable once the registration process is completed. So make sure you select the one that fits you best. If you are already a registered member, please enter your account and password to log in. Please choose a social account for authorization. 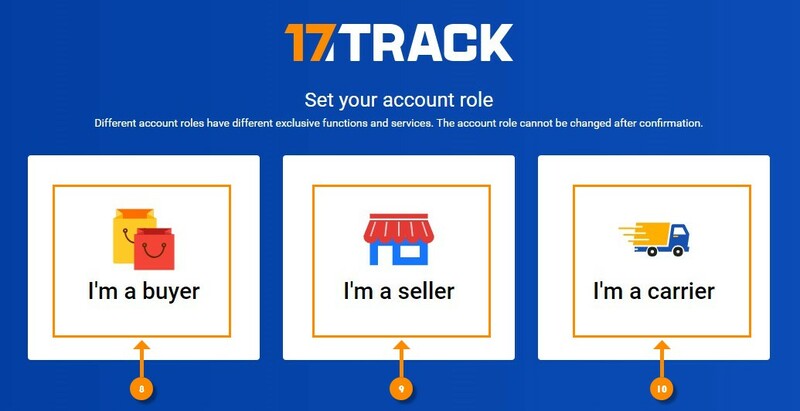 If you are already a registered member, please choose one of the social accounts to link with your 17TRACK account. Then you can choose the authorized social account to log in next time, no need to enter the account and password again. If you have not registered an account yet, you need to enter your email address after linking with your social account (same registration process); then we can ensure your account security. If you forget your password, please click "Forgot Password" and then enter your email address. You will get an instruction email from us to reset your password. The whole process is easy to use, secure and can be completed within a few minutes. If you encounter any troubles while signing up for an account, please don't hesitate to contact us at serv@17track.net.